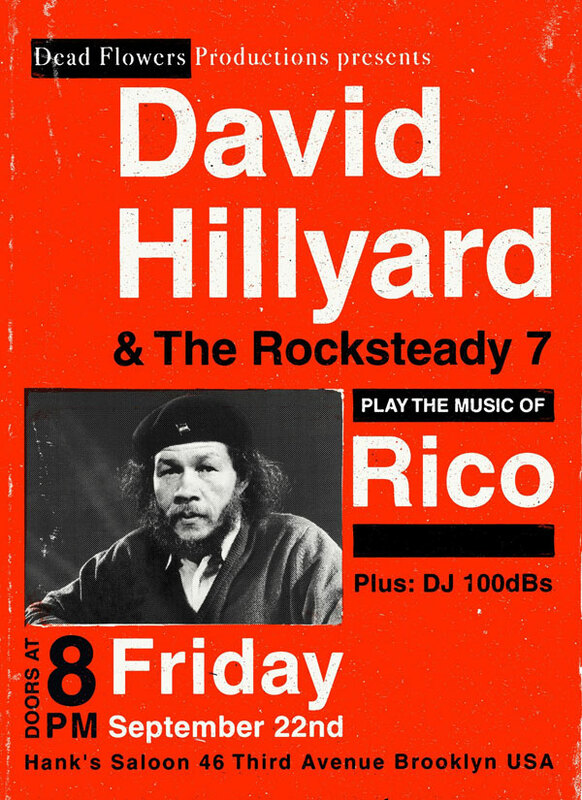 Tomorrow night, Dave Hillyard and The Rocksteady 7 will play a long-spanning mix of songs by the late, great Rico Rodriguez. Cuban-born but raised in Jamaica, Rico was influential as a trombonist during the formative ska era. A schoolmate of legendary Skatalites trombonist Don Drummond, he recorded for Prince Buster in Jamaica and with the Specials later on in the UK. Rico passed away in London in September of 2015. We want to honor his legacy in Brooklyn now, so come listen to the R7 pay tribute and grab a drink while I play vintage vinyl between sets.